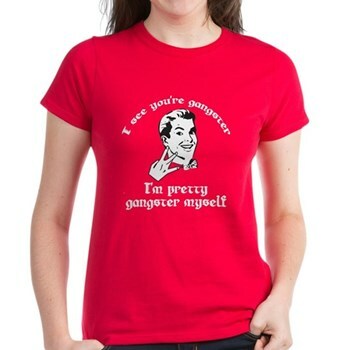 I See You're Gangster! 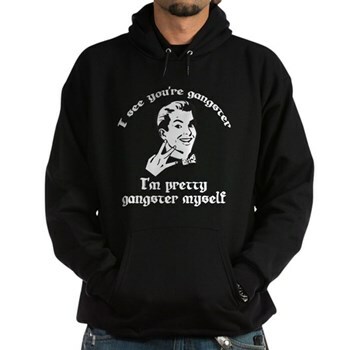 I'm Pretty Gangster Myself! No. No you're really not. 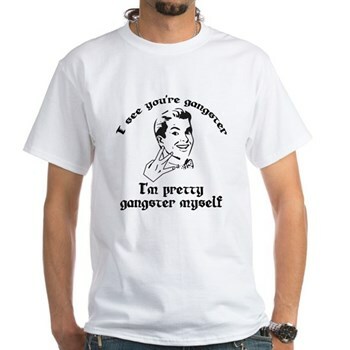 Some of us are gangster and some of us are definitly not. This is a hilarious tee shirt that painfully shows the difference. Im Pretty Gangster Myself features a painfully caucasiain bow-tie wearing gent with ganger hand sign and the words, I see you are gangster. I'm pretty gangster myself. This is a hilarious shirt that is sure to win lots of smiles. 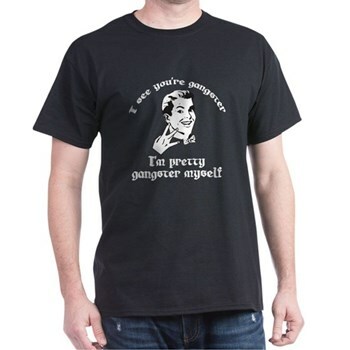 I'm pretty gangster myself is available in sizes to fit anyone in the family and theres tons of styles and colors to choose from too!